I quite often make a Jamie Oliver potato salad, as it’s an easy dish to make in bulk and include in our ‘lunch boxes’ for work. As an alternative, I thought I’d give Mrs Beeton’s Potato Salad a try, and see how they compare. 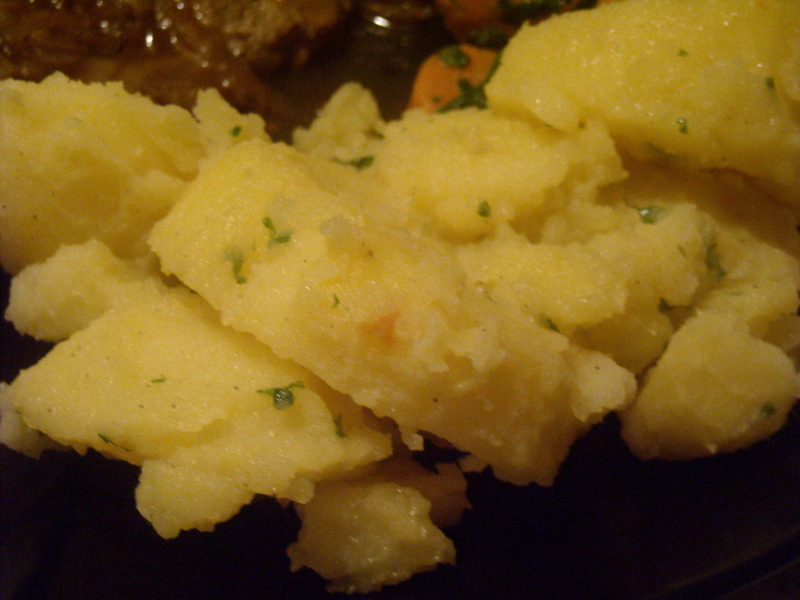 INGREDIENTS – 10 or 12 cold boiled potatoes, 4 tablespoonfuls of tarragon or plain vinegar, 6 tablespoonfuls of salad-oil, pepper and salt to taste, 1 teaspoonful of minced parsley. My boyfriend loves Jamie Oliver’s version (especially when I add a bit of bacon, which doesn’t happen too often). His salad can be varied a little, so sometimes I add yoghurt (surprisingly, my boyfriend’s favourite), and other times I stick to oil and vinegar. I didn’t have any tarragon vinegar to hand, so I made a quick substitute using dried tarragon and white balsamic vinegar. 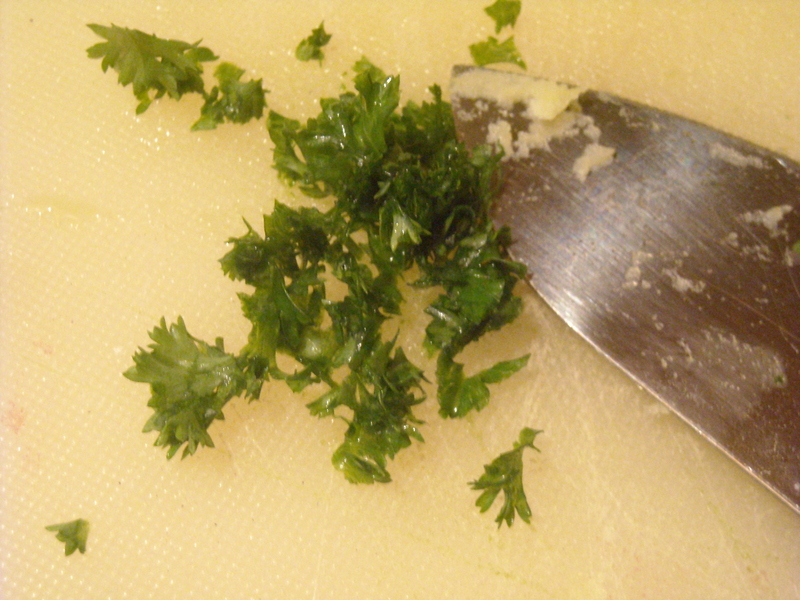 I think I overdid the dried herb, but this didn’t really affect the outcome too much. I hope. This is a nice use of left-over potatoes. My boyfriend, after eating this salad as a side dish, said that he liked it but prefers Jamie Oliver’s version. I can see the merits of both – Jamie’s has a nice yoghurty creamy finish, whereas Mrs Beeton’s has a mild tarragon flavour and a bit of a tang. Both are really quite easy to make, too, and, I think, equally delicious. I think I’ll vary this dish, so that one week I’ll make Jamie Oliver’s in bulk, and the next I’ll make Mrs Beeton’s. Variety is the spice of life and all that! This entry was posted on April 5, 2010 at 11:56 am and is filed under food. You can follow any responses to this entry through the RSS 2.0 feed. You can leave a response, or trackback from your own site.